To me, this was not an especially amazing year for Vermont food overall. Rarely did my heart flutter with eros when I tried a new restaurant. Most of the meals that did excite me were new concepts at established restaurants: The embarrassment of Lebanese-inflected, lamby riches at Kismet during Vermont Restaurant Week; the outsize flavors of taqueria nights at 3 Squares; and the tender meatballs served outside the Common Man all made me take note. After nearly 16 years in the Green Mountains, I had yet to find a version of this diner standard that equaled the ones I grew up with outside New York City. It finally happened with the reopening of this Worcester Lunch Car-style diner. 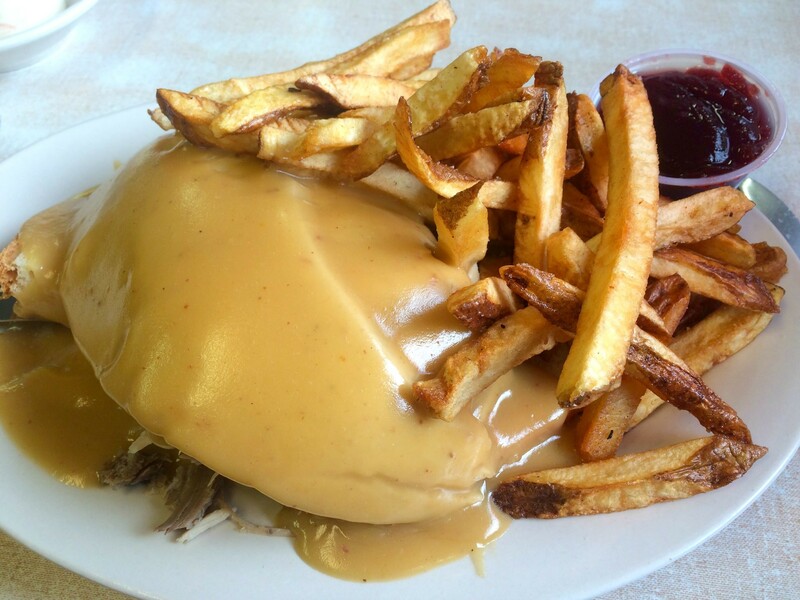 The tangy gravy is made from the drippings of turkey that's cooked daily. Even the crisp fries are salty perfection. 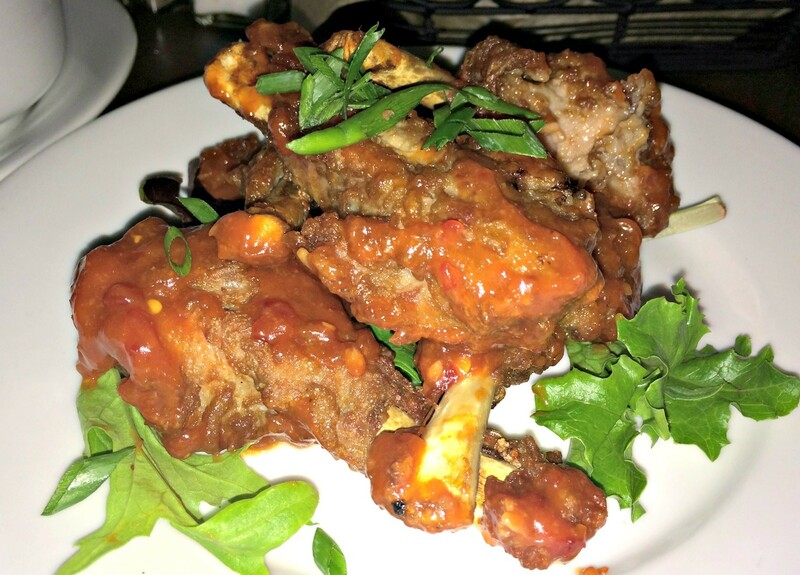 Forget chicken; the duck wings I ate last summer at this southern Vermont gastropub may be the best I've ever tasted. The extra-large drumettes are slow-cooked, then fried, so they're crisp inside and fall-apart tender within. Best of all is the spicy ginger sauce that dresses them. Since opening in February, the Lobby's range of upscale classics as burgers has transformed several times. But my favorite is still an early iteration that I hope returns some day. 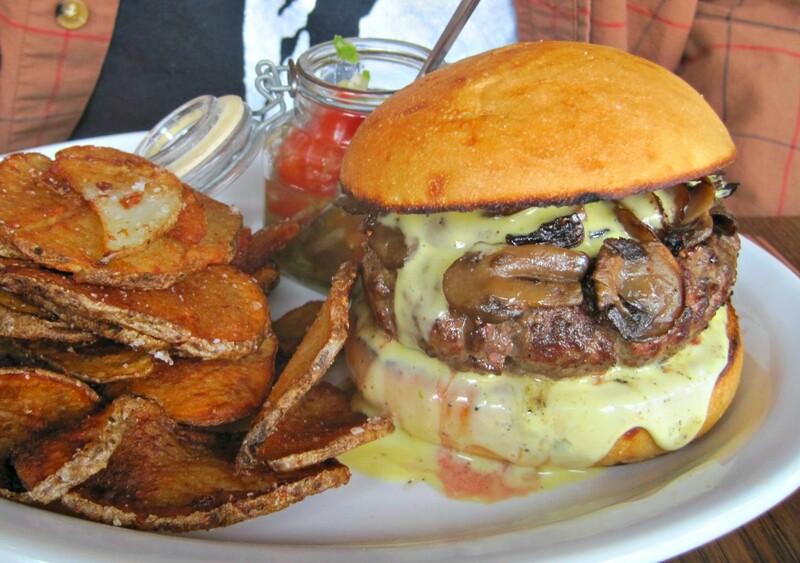 I still dream of the medium-rare beef topped with chewy mushrooms and buttery Béarnaise. No question: It was the burger of the year. 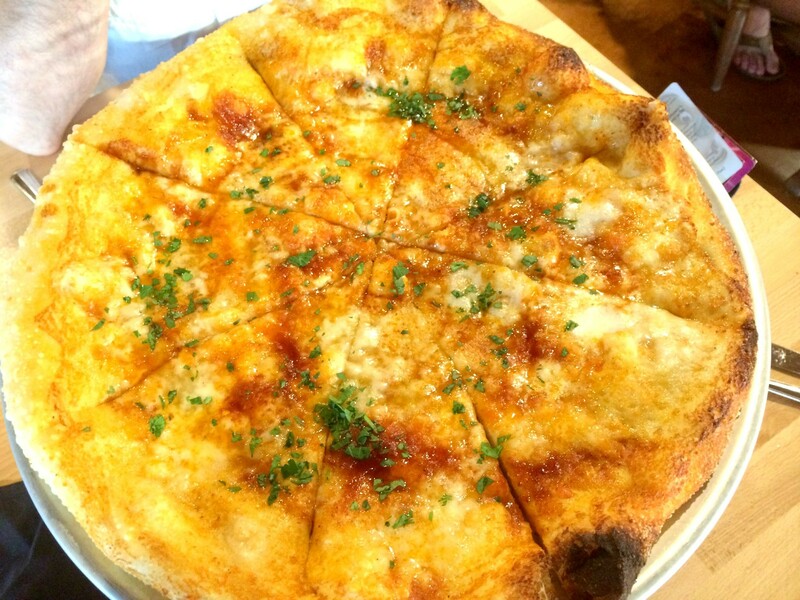 At many pizzerias, a plain old Margherita is the pie with the most impact. At first glance, La Boca's best pie is even simpler: just tomato and a layer of cheese. But fiery chipotle chile oil changes that. A drizzle of local honey cools the heat and gives the whole pie a light touch of gooey sweetness. When I tasted this dish in September, I described it as "an appetizer conceived and presented like a savory dessert." The evidence is pictured above, but what you can't see is the mind-broadening complexity. 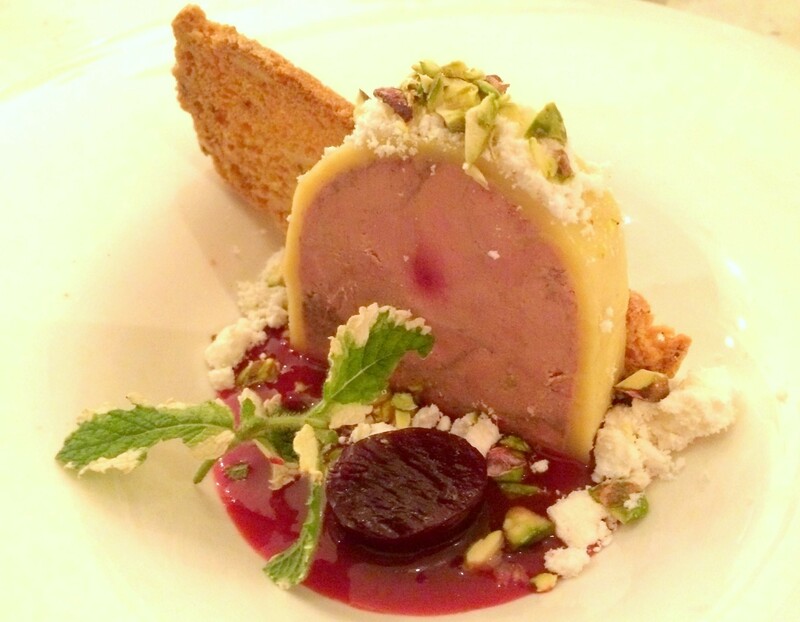 Maple whiskey, pistachios, raspberry vinegar, pineapple mint and a fennel biscotto were just a few of the many elements that combined for an app I'll never forget. OK, so Burt's Irish Pub has been in Stowe since 1976. But I had never been there, so to me it was new this year. And boy, am I glad I discovered this strange little dive and its Colombian-style home cooking. 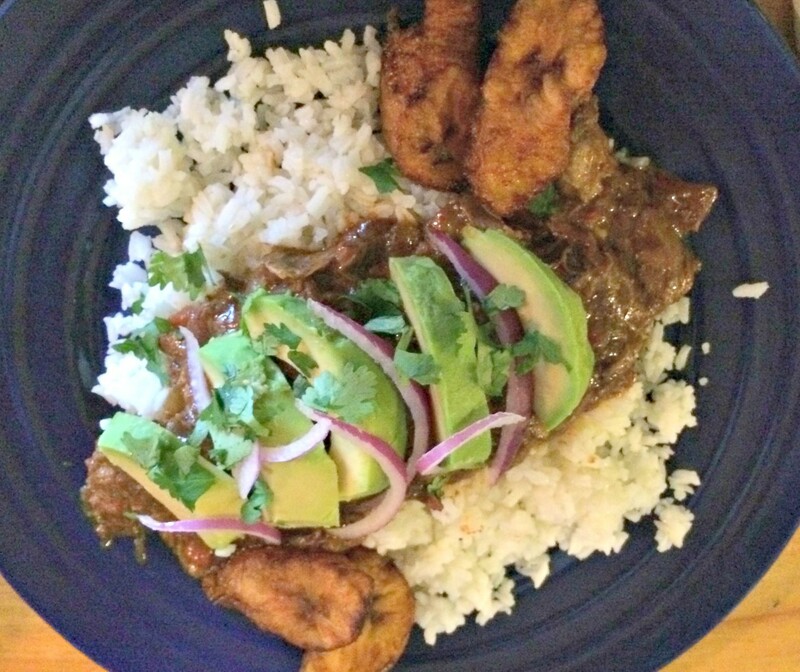 The robustly spiced carne guisado is served over rice with sweet plantains, then buried in avocado, red onions and cilantro. It's a taste of the tropics, even when there's snow on the ground. In this list's previous six years, I've stuck to restaurant dishes only. I can't do that this year. Not when Luiza Sienko's pierogi are so blasted perfect. Sold at local markets, including Healthy Living and Euro Market in South Burlington, the love-filled dumplings are now a regular part of my diet. Cheese, potato-and-cheese and sweet-cabbage versions are all light, fluffy fantasia in ultra-thin noodle shells. One taste and Mrs. T was banned from my house for life. As much bread pudding as French toast, this soft, cinnamon-soaked toast has something extra. Make that several extras. 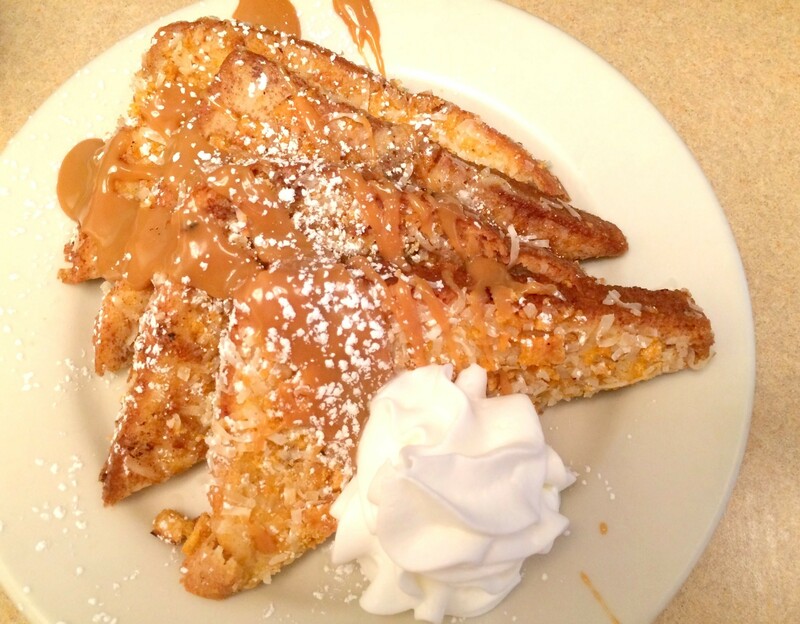 The bread is coated in coconut and crumbs of Cap'n Crunch. If that's not enough to make your teeth hurt, there's a drizzle of caramel sauce, a shower of powdered sugar and a puff of whipped cream. But you won't think it's too sweet. You'll just ask for more. 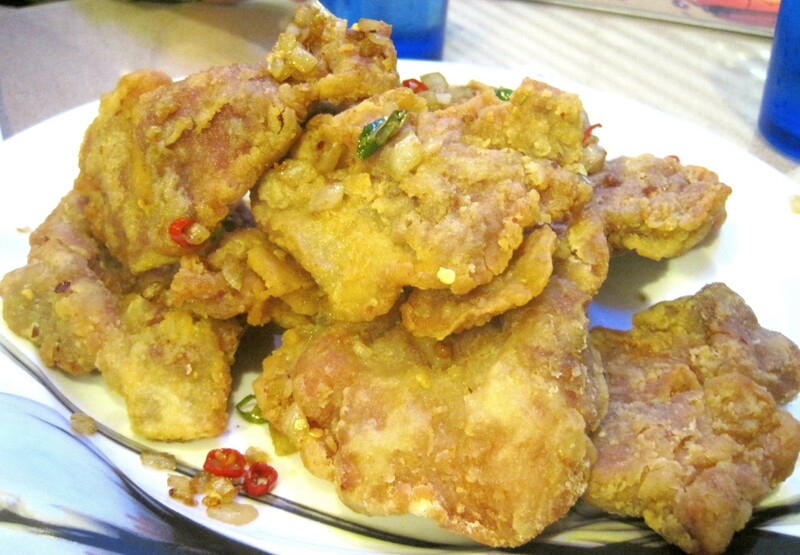 Take slices of juicy pork, dredge them in flour and fry. Coat in smoked salt and Szechuan peppercorn, and you've got yourself a crunchy, spicy, smoky winner. This is the kind of hole-in-the-wall surprise I pray for. An addictive homestyle treat, hidden on the menu somewhere between the fried rice and General Tso. There was no other contender for best dessert of the year. 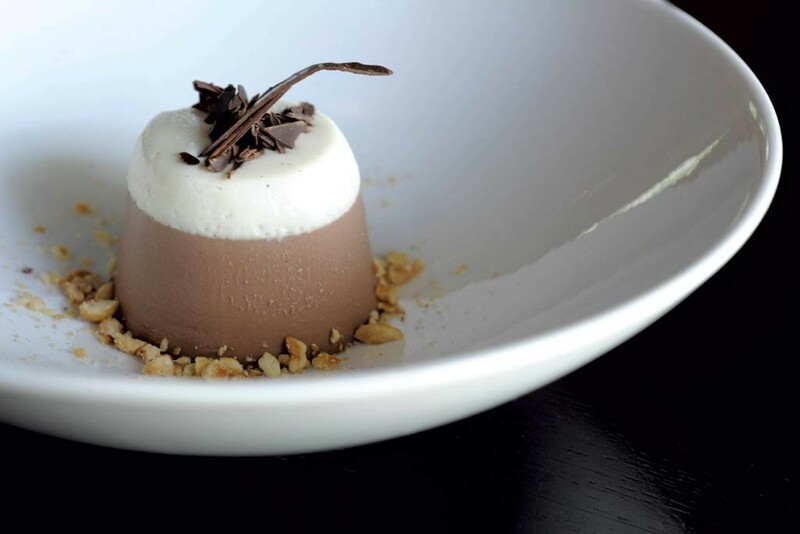 The moment this panna cotta's sultry wiggle came into my life, I knew I wouldn't be able to quit it. At the time, I described it as "a Wendy's Frosty, but all grown up and on a trip to Europe." Factor in a silken texture, a joyous marriage of chocolate and hazelnut and flaky chocolate shavings, and you've got yourself an unforgettable sweet.